Following our Poll last month, we actually sat down to have a closer look at why penguins are actually black and white. And we compiled our results into an 8 minute video. Below there is both the video and an illustrated transcript with links to some of the sources we cite. Penguins. Surely most people automatically associate that term with flightless, upright waddling and most importantly, black and white birds. We all know them from hundreds of movies, cartoons and documentaries. 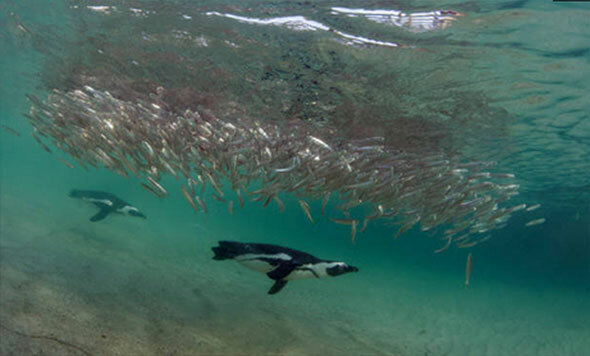 And while it is safe to assume that the penguins’ preference for fish as food is common knowledge, it is also surprising that many have at least a vague idea about what the penguins’ black-and-white attire is good for. Blending in an Camouflage. Many, many sources ranging from the popular to scientific spectrum state that the penguin’s black back makes the bird more difficult to spot while at sea. When seen from above they disappear in front of the dark blue of the ocean, while their white bellies help them to blend in when seen against the bright sky from below. 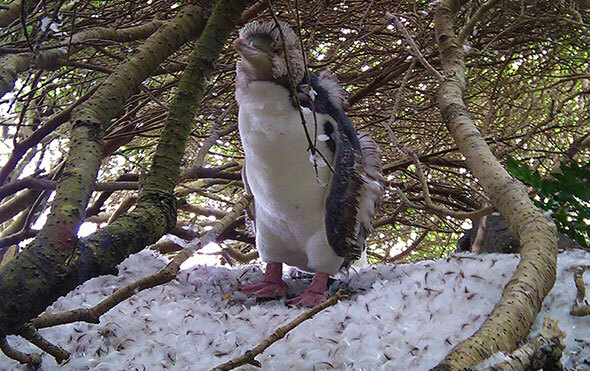 According to this idea, the black-and-white plumage helps penguins to be invisible to predators and prey alike. To answer this question, let’s go back to where this idea comes from. This gentleman is Abbott Handerson Thayer, a prominent painter in the United States of the late 19th and early 20th century. 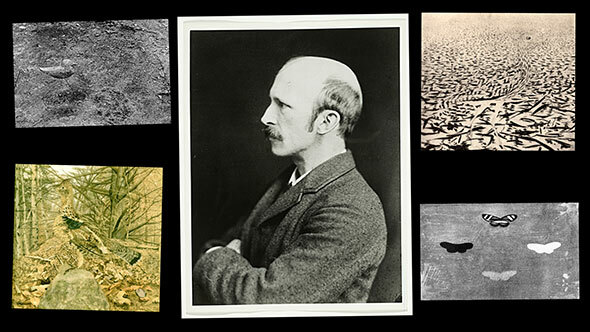 He also had a knack for natural history; he was particularly fascinated by animal colouration. “painted by nature, darkest on those parts which tend to be most lighted by the sky’s light, and vice versa”. Even though Beddard makes it sound as if it’s not his own idea, it seems his is the first written account of what may be the purpose of countershading in penguins. And, at a first glance, it seems logical, right? That is, until you really start to think about it. Let me illustrate what this weird snowflake analogy means for penguins. 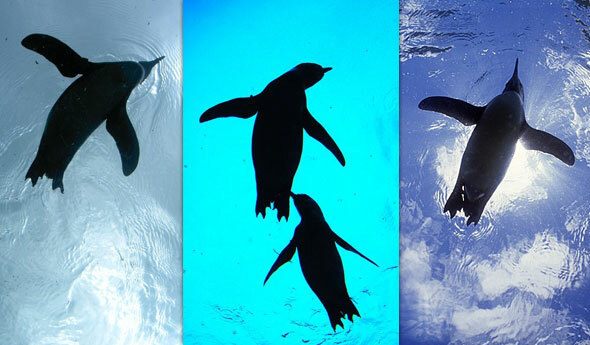 Here are a few photos of penguins seen from below. Unless you shine a bright light at penguins from the deep, their white bellies will do nothing to prevent them from appearing as a dark shadow. So what about the black backs? The advantage, according to many books and articles is that the birds are harder to see from above. 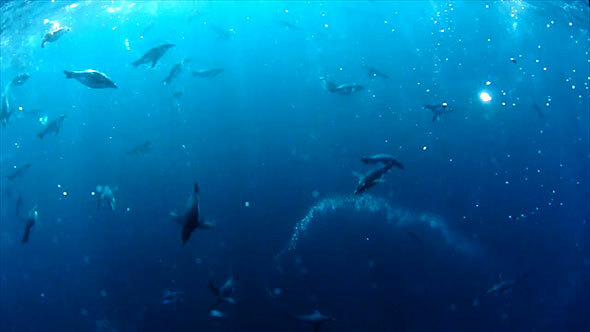 But, when you look at underwater footage of penguins, they often do not really blend in with the environment that well. ..whereas penguins, even under murky conditions, are still quite visible. 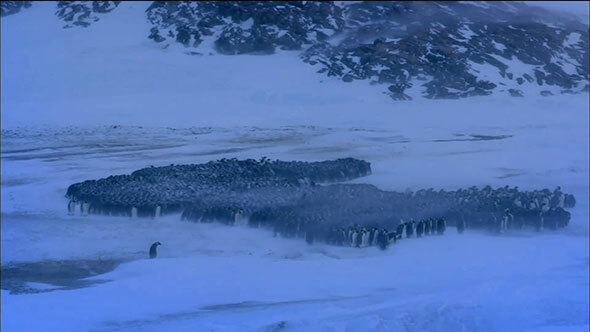 To be quite honest… penguins do a far from stellar job when it comes to blending into the marine environment. If they were serious about it, shouldn’t they all blue rather than black and white? So, I think we should have serious doubts that penguins are black and white primarily for camouflage purposes. Sure, it helps under some circumstances, but that seems more like a by-product. Which brings us back to our initial question. In 2009, Hannah Rowland from the University of Liverpool compiled a comprehensive review of the function of countershading. And she points out a whole string of factors that may all play a role for the black and white colouration in penguins. Dark colours absorb far more light energy than light colours. This means that the black backside of penguins is more efficient in absorbing heat from the sun than their white front. According to Rowland, penguins have been observed to use that to their advantage, by turning their backs to the sun when cold, and their white undersides to the light when hot. That would also work when the penguins are resting at the surface in often cold water. In Galapagoa penguins, Dee Boersma (in Bernard Stonehouse’s ‘The Biology of Penguins’) observed that penguins floating at the surface had dry backs allowing them to absorb solar radiation. At the same time, she mentions that while “it is tempting to suggest that the penguins can offset loss of heat to the cold water absorbing solar radiation” her data did not allow testing of this hypothesis. 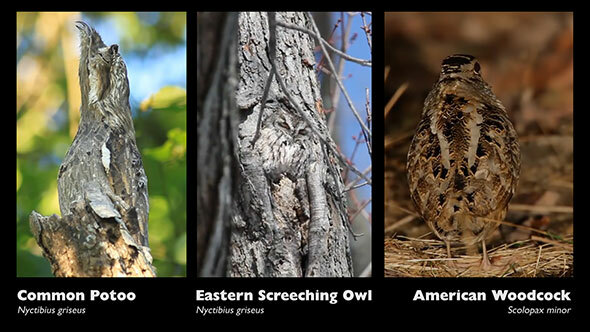 But the same can be said about the camouflage idea – it has ever come under scientific scrutiny. Dark feathers have been shown to be stronger and resist more abrasion and wear. Especially if birds are exposed to airborne particles, having black feathers may make the plumage more resistant to abrasion. While Rowland suggests that this may not apply to penguins, it seems she overlooked the fact that penguins spend long periods on land, often pretty dang exposed to the elements and associated abrasive forces. Coloured feathers are also more energetically costly to produce than white feathers, which could be another reason behind the colour of penguins. With regards to the other explanations for the penguins’ black backs – thermoregulation and protection from abrasion – it makes sense that the penguins’ undersides are white. At sea only the part of the plumage that faces the sun is black. And on land, the penguins generally lay down on their tummies or huddle together backs exposed. So the parts that play no role in absorbing radiation or withstanding the elements don’t need to be black. So why waste energy to generate pigments for the belly feathers? It has also been suggested that the black and white colouration of birds may actually be beneficial for recognition of conspecifics. This can be helpful when it comes to locating and capturing prey. For example, if a penguin notices a swirl of black and white bodies zooming around a cloud of something, that may be indicative of that something being quite edible. 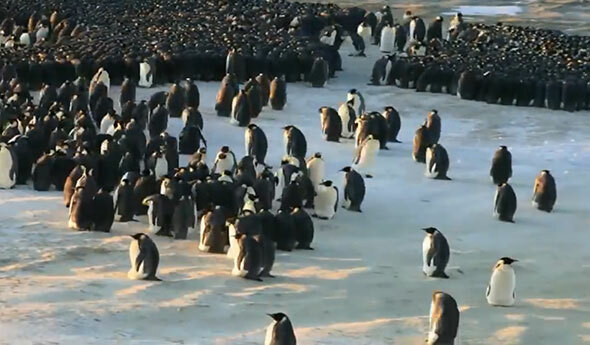 So why are penguins black and white? Well, quite honestly, we don’t have a definite answer – or an answer that has ever been scientifically tested. However, if anything, it seems that the common assumption that it’s all about camouflage doesn’t have enough legs to stand on. It takes a lot more, not to be seen.